Lately, I’ve been meeting a lot of people who have been feeling really overwhelmed lately and are looking for some balance and stress relief, and also people who are bothered by the thick blanket of pollen that has been assaulting us here in north Florida recently. Since these issues might be overlapping, I thought I’d offer some ideas/tips for both. —A few products that I love (but receive no profit from! Also, make sure to double-check that none of these things are contraindicated for you, if you’re under a doctor’s care): Arm & Hammer’s Simply Saline spray, Olbas inhalers (I’ve found these locally at Native Sun, Whole Foods, and Earth Fare), and Ricola original cough drops–all 3 of these have been useful to me combating congestion, headaches, and dry airways. 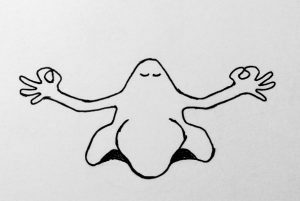 **meditating nose picture drawn by my dad! This entry was posted in Self Care on February 18, 2018 by derryberrymassage. In many ways “procrastination” is a bad word. To some it implies laziness, being unmotivated, distracted, unfocused and countless other trigger words. It means that we aren’t getting the things done we’re supposed to and we are failing as contributing adults. * Maybe that’s true, or maybe it’s not. The point is we heap a bunch of responsibilities and pressure on ourselves. There is always a deadline and there is always the next thing to complete. But where is the real procrastination? More often than not we are procrastinating on our self-care and the things that really matter. This National Procrastination Week (March 5-11), let’s focus on the holiday that is devoted to putting things off and delaying those oh-so-important tasks. The focus for this holiday isn’t inactivity, but in being active in getting a mental and emotional break which will lead to decreased stress and anxiety. As a massage therapist, I am all about that. Ahhh, a good book – there’s nothing like it. No matter the genre, reading is the quickest escape route into another land. Once you pass through that portal there’s no turning back. And if business or finance books are more your speed, there’s nothing wrong with that. Sometimes the escape is in learning something new. Grab your library card or pay your local bookstore a visit. Many great reads await you. Is there a hobby or enjoyable activity you’ve been putting off? Now is a good time to pick it up. Bake your favorite cookies. Cook a meal that reminds you of someone special. Knit a scarf. Write in a journal. Paint a canvas, an end table, or a masterpiece. Whatever your “thing” is, lose yourself in it. Raise your hand if you procrastinate on doing dishes and laundry. (*raises hand*) While some find household chores relaxing,** others can’t stand them or just never seem to have the time for them. Cleaning has become a “hurry up and get it over with” activity. Slow down a little and do the dishes by hand. Even if you don’t find it relaxing, you’ll walk away with a little more gratitude for the modern-day luxuries. In some instances, exercise has become another chore. We do it because we know we need to and it will keep us fit and healthy. Sometimes we don’t see the benefit until it’s over and working out becomes another task we must complete. Try approaching exercise in a new way. Find something you enjoy doing. Something you can look forward to. Try yoga or meditation (for those with busy minds, keep a notebook nearby to jot down fleeting thoughts) or go for a walk on a new trail or in a different neighborhood. Just get out there and move. Coffee, tea, water…margaritas–your choice. Get dressed up for a night on the town or dress down for a night in. Fly solo or invite a friend. For some, socializing recharges their batteries while others find energy in solitude. Do what suits you and I promise you’ll feel refreshed. Find the nearest hammock, couch or shade. Sleep is essential and we don’t get nearly enough. The benefits of sleep range from improved memory, sparked creativity, improved athletic performance and weight loss to lower anxiety and depression levels. Granted, getting a good night’s sleep won’t prevent you from all disease, but quality sleep is a key factor in a healthy lifestyle. It’s no surprise that one of my favorite ways to indulge in procrastination is through massage. I would get one everyday if I could. The mental and physical break in a treatment room cannot be beat. 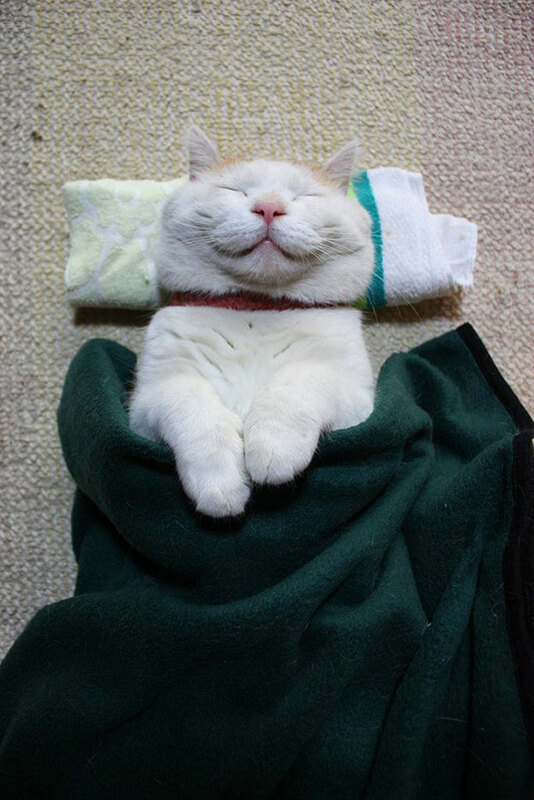 And if you’re still feeling the need to be productive, multitask by scheduling a massage and nap on the table/mat! In case you didn’t pick up on it, procrastination week is also about changing habits. It’s about incorporating enjoyable activities in our busy, stressed out lives. It’s about finding some peace while being productive and keeping things in balance. Being riddled with daily stress and anxiety serves no one. Especially you. **Personally, I love vacuuming, and I partook in that activity while I was putting off editing this post. This entry was posted in Self Care on March 5, 2017 by derryberrymassage. People with neck and shoulder issues often have their pain return before their next massage appointment. Work, play, and children all make demands on the body. A dull ache can quickly turn into a burning pain while doing household chores, working/playing on the computer, or any of your other daily activities. This entry was posted in Self Care and tagged massage, neck, self care, yoga on July 3, 2016 by derryberrymassage. The following suggestions are just meant give you some ideas on things you can do on your own to relax. If you have any medical issues, please consult your doctor first! Chamomile is perfect for relaxing. Make sure you cover your teacup/mug while it is steeping, so the essential oils don’t escape and evaporate with the steam. Fill a small tub with warm water and 1/2 cup Epsom salts. You can use a few drops of essential oil (in massage school, we used Olbas herbal bath), and soak for about 10-15 minutes. Epsom salts also make a great scrub for the legs and feet, so you could pour some of that 1/2 cup into your palm, add a few drops of water to make a paste, and then rub it into your skin before plunking your feet into the tub of water–just remember to do it all over the tub so the excess falls into the water! Pretty self-explanatory, but a wonderful experience nonetheless. Using the pads of your fingertips, gently press and mush your facial tissue around in small circles. Don’t forget the eyebrows and around the ears and jaw. This will help release tension and increase circulation in these frequently used muscles. It’s pretty simple once you get the hang of it, and like the previous tip, you always have this practice right at your fingertips (hee hee!). Block off your right nostril and breathe in through your left nostril. Next block the left nostril, release the right, and exhale through the right nostril. Inhale through the right, block the right nostril, release the left, and finally exhale through the left side. You have now completed one round. Aim to complete 5 to 10 rounds. You can learn more about the technique here. This entry was posted in Self Care on March 25, 2016 by derryberrymassage. This entry was posted in Massage, Self Care and tagged anatomy, massage on March 16, 2015 by derryberrymassage. Hopefully, you have the day off today, but that doesn’t mean you’re not slouched at a computer or a smartphone! These little videos can help you adjust your posture while you’re on one your devices. As much as I would love to give you a great neck and shoulder massage after you’ve fallen for hours down the rabbit hole of the internet, it’s important to be aware of how you are positioned, because you can really get into a world of hurt. Make sure you also get up to walk around and stretch, and don’t forget to breathe! And while you’re at it, make sure you have a massage scheduled. This entry was posted in Massage, Self Care and tagged massage, NaBloPoMo, posture on November 28, 2014 by derryberrymassage. 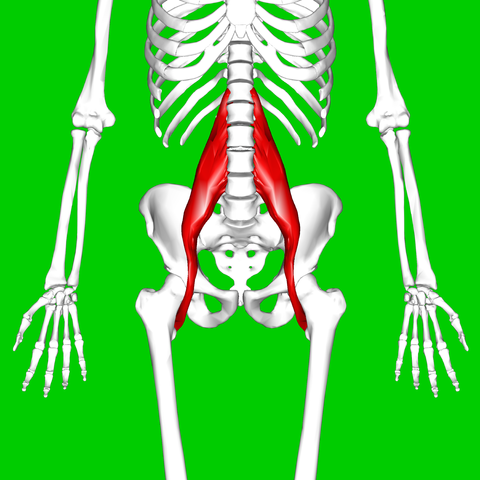 Today’s muscle is the psoas, the main muscle providing hip flexion. This entry was posted in Massage, Self Care and tagged anatomy, massage on November 24, 2014 by derryberrymassage. Gratitude sidenote: As overwhelmed as I am with laundry, I sure am grateful to have a plentiful amount of clothes, a washing machine and dryer, and water and electricity. This entry was posted in Self Care and tagged Anxiety, gratitude, stress management on November 22, 2014 by derryberrymassage. 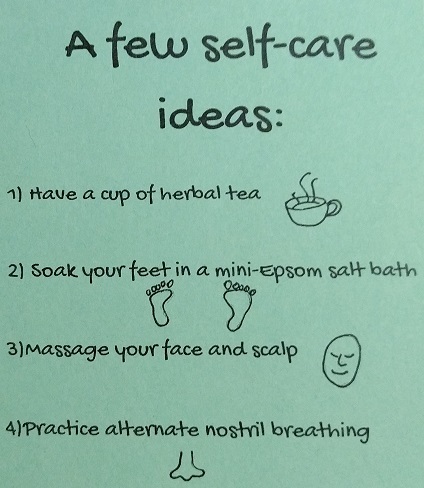 This entry was posted in Self Care and tagged stress management on November 20, 2014 by derryberrymassage. It might be Wednesday, but it’s finally Muscle Monday! This entry was posted in Massage, Self Care and tagged anatomy, massage, NaBloPoMo on November 19, 2014 by derryberrymassage.